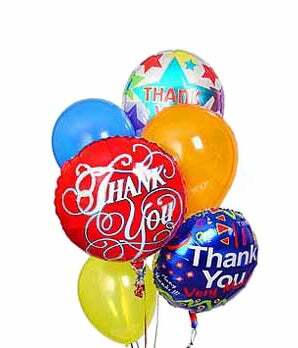 Send balloons today to say thanks! These bouquet arrangement is created with a mix of thank you mylar balloons and colorful latex balloons. A great gift to send to a co-worker or a friend who recently did a favor. Enjoy delivery today, if needed.